Apple has been focusing on its renewable energy and environmental protection initiatives these past several months. The company is serious about reducing its carbon footprint and making its operations more environment-friendly across the glove. The latest expansion to these initiatives has just been announced. This time, partnering with the World Wildlife Fund, it’s China’s turn to be part of the company’s efforts to remain green. The World Wildlife Fund will be managing one million acres of working forest for several years on behalf of Apple. The company will be financing the operation of this working forest as well as the team behind World Wildlife Fund. The forest will provide wood and fiber for products such as pulp and paper. “We believe we can run on naturally renewable resources and ensure that we protect—and create—as much sustainable working forest as needed to produce the virgin paper in our product packaging. This is an important step toward that goal and our commitment to leave the world better than we found it,” said Lisa Jackson, Apple’s Vice President of Environmental Initiatives. The announcement is no surprise at all. 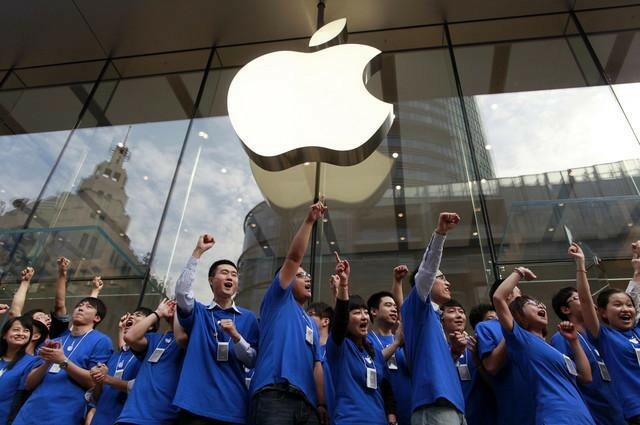 It was made just three weeks after Apple opened its Solar installations in Sichuan Province. The solar power plant will produce more energy than needed to support all Apple Stores and other Apple facilities in China. Apple is no stranger to the green movement. The company has received a lot of commendations from third-party organisations for its efforts in going green and making its operations more environmentally friendly. Even Greenpeace complimented Apple after the company announced that many of its facilities run on 100% renewable energy that is safe to the environment. Lisa Jackson was brought in to oversee the company’s environmental efforts. Jackson was formerly an Administrator of the Environmental Protection Agency, so her roles in Apple’s renewable energy and environmental protection initiatives are suitable nonetheless. It would be interesting to see what this company can achieve in the future in terms of the use of renewable energy. Based on everything that has been outlined so far, do you think that Apple will have any influence over the renewable energy market in the near future? Let us know your thoughts in the comment section below.